In a medium sauce pan, combine the water, orange juice and salt. Bring mixture to a boil. Add the oats, reduce heat to a very low boil and cook 6 minutes - stirring occasionally. Reduce heat to low and stir in the cranberries, sugar, vanilla and orange peel. Serve warm with a couple cranberries and a slice of orange on top for garnish. 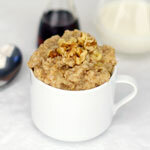 If you like your oatmeal a little thicker, add 2 additional Tablespoons of oats to the oats in the ingredient list. If you're short on orange juice, no problem. This dish derives most of its orange flavor from the grated orange peel (zest). The orange juice adds a nice complexity to the overall flavor, but it isn't necessary. Just use 1 and 3/4 cup water. 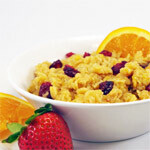 For best results, leave the finished oatmeal over low heat for 5 or 10 minutes before serving. 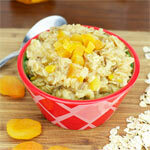 The flavors mingle together and the oats soften for a more even texture. 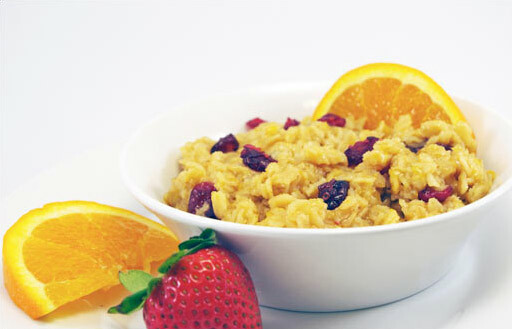 A double dose of orange blends with tangy cranberries for an oatmeal that is sure to wake up your senses. 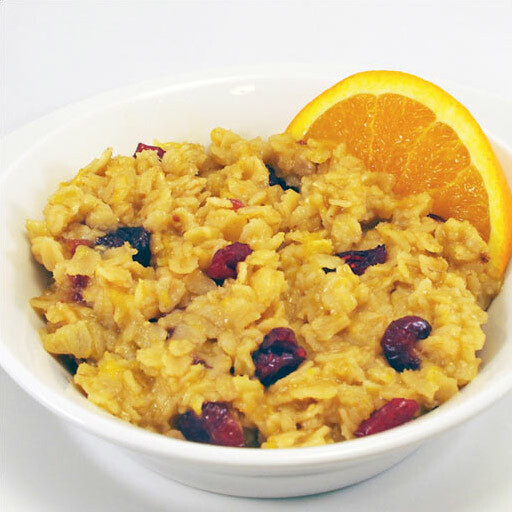 What do you think of Orange Cranberry Oatmeal? Very good. I added just a touch more (like 2 teaspoons) brown sugar to make it perfect. Best recipe ever! 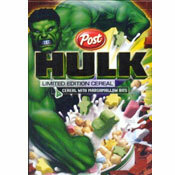 I get bored with oatmeal, but I think I could eat this one every morning. Good job! Best homemade oatmeal! It needed just a little more brown sugar sprinkled on at the end. Tasted great! I think you mean orange zest rather than orange peel. Best oatmeal I've had in a long time. 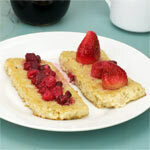 My husband - who would always prefers eggs and bacon instead of oatmeal or cream of wheat - he said the same thing.